Foot problems can be magnified with every step, causing trouble beyond just your feet. Pain in other areas of the body such as knees, hips and the back can result from foot disorders. Ideal foot function can help the rest of your body. When your foot has structural problems that impact the way you walk, your whole body suffers. Our clinic specializes in custom-fit orthotic prescription and biomechanical gait evaluation. Prescription orthotics from our office are custom medical devices made from a cast of your foot. Your foot is placed in the best functional position and then casted. The cast is what is used to make the custom orthotic. Dr. Young or Dr. Nelson complete a unique prescription based upon your specific problem and foot type. 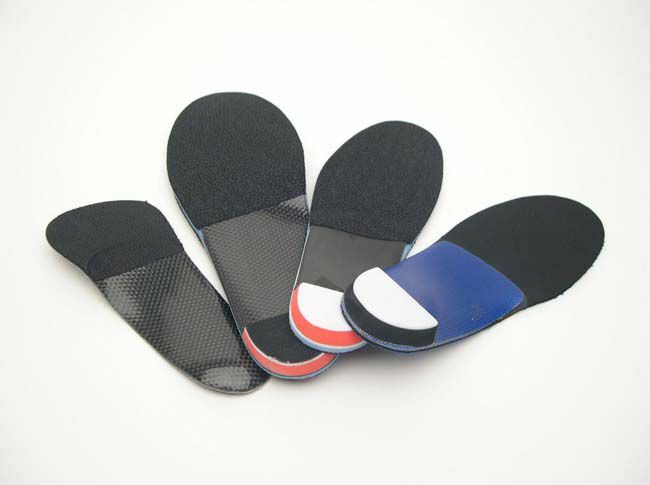 The orthotic fits inside your shoe to change and improve the biomechanics of your gait. The prescription orthotic process is very straightforward and begins with an evaluation by our doctors of your specific problem. They will assess your foot disorder and will decide the best treatment plan. If that plan includes orthotics, they will perform a biomechanical gait evaluation to assess your walking patterns. Precise plaster casts will then be made of each foot. The orthotic prescription is completed based on both the biomechanical gait evaluation and the plaster casts. The custom orthotic laboratory makes the orthotics, you pick them up and after a few weeks, you should feel relief! Contact us today to get started on your prescription orthotics!